Luis Santos has a unique understanding of the administrative and legal challenges faced by clients in industries like hospitality, retail, restaurant, and grocery. His previous experience as a hospitality and grocery employee gives him a particularly unique insider’s perspective. Prior to attending law school, Luis worked for many years in hospitality management. He began as a front desk clerk and worked himself up to the position of assistant hotel manager. Luis also worked as a grocery store cashier. After becoming a lawyer, he wanted to continue helping companies in those industries with their employment-related issues. In addition to providing his services to the hospitality and grocery industries, Luis represents employers in a wide variety of industries, including restaurants, transportation, healthcare, and insurance, in all facets of employment law, including wage and hour disputes, discrimination claims, union avoidance, and regulatory compliance. Luis is fluent reading and writing in Spanish. He often uses his bilingual skills to train and educate Hispanic management and staff in their native language. 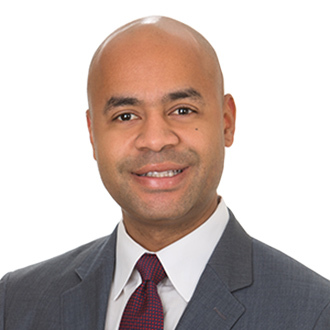 Luis also serves as FordHarrison’s Deputy Diversity Partner and is focused on recruiting and mentoring diverse attorneys with a particular emphasis on Hispanic outreach. Luis is the son of migrant parents and the first in his family to attend college. Through his childhood experiences, Luis developed a great appreciation for hard work and an understanding of the importance of education. During law school, Luis was an American Bar Association Merit Scholarship recipient. He was also a Moot Court board member and a member of the Diversity Committee. While on Moot Court, Luis participated in the Seventh Willem C. Vis (East) International Commercial Arbitration Moot, winning the Best Respondent Memorandum and receiving an Honorable Mention for Best Oral Advocate. He also served as a judicial intern for the Honorable Judge Covington-Hernandez, U.S. District Court for the Middle District of Florida. In addition, Luis served as the Secretary for Stetson University's Hispanic Bar Association, Vice-President of the Part-Time Student Society, and a member of Phi Delta Phi Honor Society. Obtained dismissal of discrimination claim against national hospitality client. Obtained dismissal of sexual harassment and retaliation claims against national hospitality group. Successfully represented local hotel chain in DOL wage and hour investigation. Successfully defended Eleventh Circuit appeal of summary judgment granted in two separate race discrimination cases against national retailers. Successfully defended workers’ compensation retaliation claim against local grocery store. Conducted English and Spanish anti-harassment training for multiple Florida grocery stores. Defended FLSA collective action against a transportation company. Defended assisted living facility in wage and hour lawsuit filed by the Department of Labor. Handled multiple APA administrative hearings of pension forfeitures for public employees. Advised national healthcare client on the legal issues related to unionization and/or efforts to organize its employees. Conducted company-wide I-9 Audit to assure compliance with federal regulations. Successfully defended national employer on FMLA retaliation case. Successfully represented clients before the EEOC and state and local human rights commissions in multiple charges of discrimination, harassment and retaliation, including on-site investigations.